Chances are you've reached this page out of curiousity, or you're looking for a new challenge in life, or maybe you've got a wild streak that 4 days of adventurous fun really speaks to. We're here to meet you halfway. The Untamed New England "Coaching Program" is a service in concert with Action First Coaching that provides 1:1 coaching in areas of performance, mindset, and putting it all together to make the most of the race opportunity. If you think you have the spirit for adventure racing, but aren't really sure what to do next, this is the area for you. Read on for more details on each of these two AROR tracks. 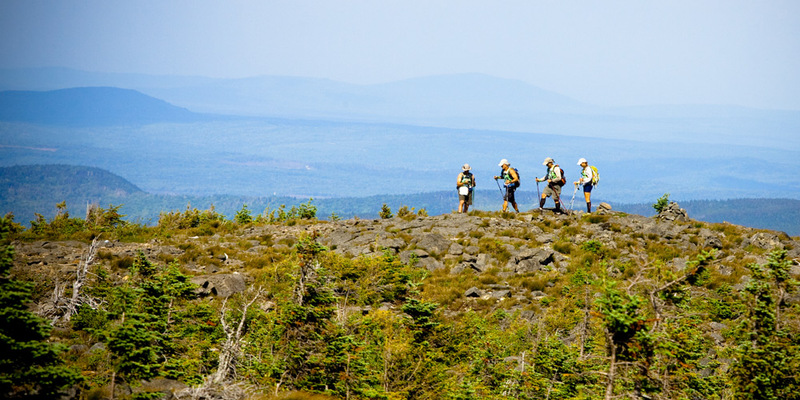 The Untamed New England "Buddy Program"
The AROR "Buddy Program" is designed to jump-start your preparations for the Untamed New England 2018. We'll work with you to determine who the best "Buddy" would be for your given circumstances, then schedule phone or online consultations to get you started toward adventure racing success. We generally limit the "Buddy" touchpoints to a total time of 1 hour (for example: 3 sessions of 20 minutes is a general rule of thumb) and we've found it's best to schedule these conversations over a month or two. Scheduling is flexible and some may prefer to save a 20 minute session for late Spring 2018, for example, to address any final preparation ahead of the race. Others might like a quick weekly touchpoint in rapid succession as soon as possible. There is no charge for the "Buddy Program" so participants will need to be flexible around the availability and schedules of their buddies ☺. Buddies in the "Buddy Program"
Brent has been adventure racing for ten years, beginning as a weekend warrior with various friends before joining the Pennsylvania-based GOALS ARA race team in 2007. Inspired as a teenager while watching the annual Eco-Challenge, Brent began with six-hour events, convinced he would never do anything longer than that. A decade later, he has competed in nearly 100 adventure races and rogaines including seven eight expedition races ranging from 3-7 days. Brent now races with the Rootstock Racing team. Orienteering is his favorite aspect of adventure racing, and he enjoys listening to his teammates chatter, especially when they think he isn’t listening. Grant's first adventure race was an 18-hour mission through the swamps of Florida in 2000 and he never looked back. He founded Untamed Adventure racing and has been organizing adventure races since 2004, including years living in Switzerland (and racing through the Alps), assisting race organizations all over the world in many technical capacities, and competing himself at expedition-length races in Patagonia, Ecuador, and elsewhere. Grant subscribes to the "train like a caveman" school of race preparation, and -- while probably the weakest athlete in this AR On-Ramp program -- he's not going to tell you to stop drinking beer in the lead up to a big race. C'mon, people, it's a quality of life issue! When Abby volunteered at her first adventure race, the NYARA twelve-hour Longest Day, in 2007, she was certain she would never undertake such an epic challenge. Four months later, she lined up at the start of the GOALS ARA 6-hour Edge with her new husband (and future teammate), Brent Freedland. The one-time competitive swimmer raced for Team GOALS ARA from 2008-2015, competing in dozens of events ranging from a few hours to several days. Abby is now a key member of the Rootstock Racing team. Her favorite races generally involve a high level of strategy and route choice and a healthy dose of off-trail travel, and she’s always up for good animal sightings (as long as they’re from a comfortable distance). Abby, above all else, believes that successful adventure racers are able to come together as a team, creating a unit that’s better than the sum of its individual parts. Amy was born and raised in Wilkes-Barre, PA. She was a competitive gymnast growing up, but had to leave the sport during high school. She then took up springboard diving, which still scares her today. She returned to gymnastics in college at the University of Pennsylvania and ended up competing on the Varsity Team for her sophomore through senior years. In 1999, having never mountain biked, kayaked, or really run before, Rodney Villella talked her into doing a Hi-Tec Sprint Race . . . and she never looked back. Since then, Amy has participated in countless races of all lengths from sprints to 10-Day expeditions. 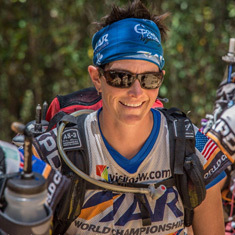 In 2008, along with Rodney, she started to formally give back to the sport by designing courses and race directing for New York Adventure Racing Association (“NYARA”). Rodney was born and raised in New York City, an unlikely breeding ground for an Adventure Racer. He remembers watching the Eco Challenge on TV back in the mid- 90's and thinking that those people are nuts and that he would never be able to do anything like that, ever. Well that all changed in 1998 when a friend talked him into doing a Hi-Tec Sprint Race . . . the rest is history. 20 years later, Rodney has participated in over 100 adventure races from short sprints to 10-day expedition races. He did his first expedition race in 2003 and has raced all over, including a bunch of races overseas and a few World Championships. He is a member of NYARA (New York Adventure Racing Association) and is also a race director for them. He started directing Adventure Races in 2008 and also hosted the 2012 edition of the USARA’s National Championship in the Catskills, NY. The Untamed New England "Coaching Program"
The AROR "Coaching Program" builds on all the aspects of the Buddy Program and adds two key elements. Element 1 is a continued touchpoint with Untamed New England race leadership or "Buddy Program" contacts, roughly once per month to address questions or other race specific points of conversation. Element 2 is the addition of professional sports coaching services from Action First led by experienced expedition adventure racer Sarah Goldman. Sarah will work with you 1:1, or with your team, on tackling the big race with a healthy mindset and strong foundation of fitness. Action First’s unique coaching style includes both Mindset and MultiSport Coaching. Use both to start moving towards success! If interested in learning more, email Sarah from Action First directly at "sarah @ actionfirst . net" and Untamed racers receive special pricing! Sarah is a certified running coach through the Road Runners of America. She was also a member of the first ever Ultra Mindset Academy Cohort, during which she was granted the certification of Ultra Mindset Specialist by coach, educator, and acclaimed adventure athlete Travis Macy. Action First's unique focus on both physical and mental fitness enhances clients' success and enjoyment of the training process. Sarah specializes in working with athletes competing at a distance for the first time, whether it be a 10k or 10-day race. As an athlete, Sarah regularly competes in adventure races ranging from 12 hrs to 7 days. In 2016, she represented the United States at the Adventure Racing World Championships in Shoalhaven, Australia. Sarah is excited to be returning to the World Championships again in 2017.